From the moment you walk in the door (or usually greeted as you drive in the bay) you are treated as a valued and respected customer. Their appointments are always on time and done in the estimated time frame. The detail to customer service is not overlooked here. Jason and Pete were great to work with they took care of everything they said they would. Gave us a fair price on the trade in as well will definitely come back. Jason was spread thin he had a lot of things going on that day I believe they were short a sale person and he still was able to handle everything what a great guy. Came in knowing exactly what we wanted, Sam helped us out tremendously. The car we wanted unfortunately needed the radiator replaced so he hooked us up with a similar version of the same vehicle to test drive. He made sure all requested tests were completed once the radiator was replaced and also scheduled the vehicle's windows to be tinted for us. We had another request after we left to have a bumper skid guard put on and the vehicle only took a week for repairs, tint, and skid guard to be put on. We were in and out when we came to pick it up. We absolutley love our new GTI and have piece of mind with the certified pre-owned bumper to bumper warranty. Thanks Sam!! We came to buy our daughter her first car. Our salesman Sam was very pleasant and related to both her and to us as her parents. The experience from start to finish went great and my daughter is very happy with her car. I felt really comfortable with this dealership from the moment I walked in the door. They had a great inventory, we discussed several options and I am very happy with my purchase. 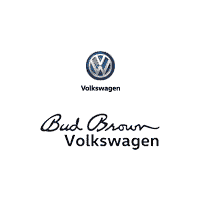 Thank you for making your way to Bud Brown Volkswagen, your certified Volkswagen dealer serving drivers throughout Olathe and the surrounding areas. At our dealership, you’ll find a solid selection of new Volkswagen for sale, as well as a carefully inspected lineup of pre-owned vehicles. We also have a well-connected finance center run by a qualified team of finance experts, who can help you get the right loan or lease in a quick, easy, and transparent manner. Our commitment to our customers continues well beyond the date of purchase. We also have a professional team of Volkswagen technicians on hand with the skills and equipment to handle all manner of maintenance and repairs, as well as a full stock of authentic parts. Make your way to Bud Brown Volkswagen in Olathe today for quality vehicles, a friendly team, and professional service at every step of the way. And if you have any questions for us, you can always get in touch at 855-486-1010.